Do you know someone who is planning their Wedding and needs a Wedding photographer? 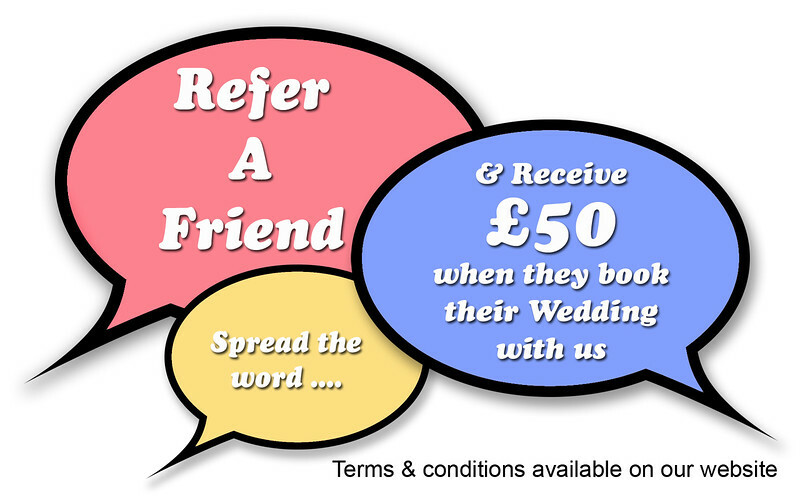 We pay a £50.00 commission to anyone who refers us to their friend or family member who is getting married and we're then booked to be their Wedding photographer. 1) Just email us the name and date of the Wedding and we'll send you a confirmation that you are the first person who has registered the Wedding details. 2) We'll email you once the Wedding photography is booked with us. 3) We'll confirm when the Wedding final balance has been paid and send you your £50.00 commission.